The following are three notes about Major General Sahibzada Yaqub Khan, who passed away January 25th after a long and very eventful life. First and foremost is an article about him that was written a few years ago by Dr Hamid Hussain, a well known, extremely erudite and highly respected chronicler of the British Indian army and its successor armies. The second is from Major Aghan Humayun Amin whose knowledge of military history in general and the history of the Pakistani army in particular, is second to none, and who is not shy of making his opinion known in sometimes salty and direct language. The last one is from Abbas Raza, who runs the famous 3quarksdaily.com and who has written a very personal obituary about a man he clearly greatly admires. My questions are about his actions in March 1971. Unfortunately now that he has passed away without giving his own account of those days, we need someone else to step in with the details. Sahibzada Yaqub Khan was the martial law administrator in East Pakistan as well as commander Eastern Command. His command had already prepared contingency plans for military action as early as November or December 1971 (“operation Blitz”). 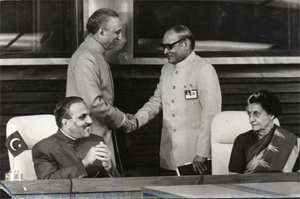 In February 1971 Admiral SM Ahsan (Governor East Pakistan) took a stand against the Yahya Khan regime’s actions (Sheikh Mujib had just won a majority in the National assembly, but his becoming Prime Minister was forestalled by Yahya’s decision to delay the national assembly session using various excuses) and Ahsan objected to this policy, then resigned and left Dhaka (in early March). All this is well documented in official records and personal accounts. Later on it became general knowledge that General Yaqub had been similarly courageous and far-sighted and had resigned rather than carry out the poliicy being sent down by GHQ. Once this was mentioned in one or two books, it was re-quoted in other books and by now it is “common knowledge”. But if you look closer, matters are a bit more muddled. It is not clear at what stage and to what extent he made his opposition known, and no resignation is clearly mentioned. All we know is that he left Dhaka around 5-7 March (as far as I know, no one claims he had resigned before he left Dhaka) and went to Karachi; what happened when he got there? I have heard from junior officers (obviously not direct participants in high level meetings) that Yahya Khan was very angry with Yaqub for “having left his post without permission” and there are claims that General Yaqub was in danger of being court-martialed for desertion. According to Major Amin, he was questioned in the transit camp in Karachi and was then demoted to major General. Where was he posted then? Had he resigned? or was he forcibly retired? A formal inquiry was supposedly held against him for leaving his post, but its contents have never been revealed either (and may no longer be traceable). I am sure that as a highly intelligent person, he very likely opposed the army action being contemplated then by the high command, but the point is, the details of his opposition and actions remain unknown. So, can someone fill in this gap with direct information or with quotes from written accounts? When did he leave Dhaka? and in what circumstances? Did he offer to resign? Was there an inquiry against him and what were its conclusions? What were his formal postings after that event? Under what circimstances did he eventually leave the army? Did he retain his pension and benefits when he did leave the army? I hope someone can clarify these points. By the way, what is clearly documented (by Altaf Gauhar in newspaper articles if I remember correctly) is his positive role in another fiasco: when Zia was President the army considered an early version of the Kargil plan that Musharraf later put into effect. General Yaqub Khan was Zia’s foreign minister at that time and opposed the plan in a cabinet meeting and it was dropped because of his opposition. He may have been similarly prescient about 1971, but the details remain murky. For the sake of history, it would be good to find out exactly what happened and when..
Of course, Sahibzada sahib’s career as Bhutto’s ambassador to several great powers, as Zia’s foreign minister, then as the establishment’s chosen foreign minister to keep Benazir in check, and then as Musharraf’s envoy to justify his coup, all indicate that he was a solid and upstanding member of Pakistan’s ruling elite and was comfortable with military rule, and with the foreign policy priorities of the Zia and Musharraf regimes (including the jihad in Afghanistan and its softer version in the Musharraf era). He was also highly educated and well read and had an impressive personality that a lot of people remember with awe. And of course, he got high praise from people like Nixon and Kissinger. One imagines that had he been born into the elite of a great power (instead of being born into the fading North Indian Muslim elite) he could have been an Edward Grey, though probably not a Curzon or Palmerston. I wish he had written his memoirs. MG ® Sahabzada Yaqub Khan recently passed away. Last of the generation of officers raised in Raj army and served with successor states armies. Few years ago, I wrote a piece about him that was published in his alma mater RIMC Dehra Dun magazine. In addition to profile of Sahabzada, I also took a detour into archaic regimental histories as I found some facts fascinating. May be this can be a tribute and obituary of the officer and gentleman. Rest in Peace Sahabzada. Sahabzada Muhammad Yaqub Khan is part of that generation of subcontinent that witnessed some of the most exciting events of the last seventy years. He was not only a witness but active participant in many events of these challenging times. Some events of his life seem material for a novel rather than real life experiences. This generation born at the zenith of British Raj in India received the best education that the Raj could offer and joined Indian army during Second World War. Young lads from different religions and ethnicities were comrades in elite regiments fighting under the guidance of their British mentors. As Captains and Majors they saw the independence of their land and departure of British. Some had to leave their ancestral lands that happened to fall on the wrong side of the divide. Former comrades became foes when their newly independent countries got entangled into prolonged conflict over the disputed territory of Kashmir. Many fought against each other as Captains and Majors in 1947-48 war in Kashmir, in 1965 war as Brigadiers and Major Generals and in 1971 war as senior commanders of their respective armies. In case of Pakistan, they saw the successful secession of eastern wing in 1971. Yaqub is a poster child of this generation of officers. Yaqub was born in the aristocratic household in the princely state of Rampur. He studied at Prince of Wales Royal Military College at Dehra Dun. He joined Royal Indian Military Academy at Dehra Dun and commissioned in Indian army. He joined elite 18th King Edward VII Own Cavalry of Indian army. During Second World War, 18th Cavalry left India in January 1941 for the Middle East theatre and landed in Egypt. Regiment was then commanded by Lieutenant Colonel Howard Fowler (he had just taken over command from Lieutenant Colonel H. M. Tulloch) and senior most Indian Viceroy commissioned Officer (VCO) was Risaldar Major Kapur Singh. Lieutenant Yaqub was with A Squadron (Hindu Jat) commanded by Captain J. M. Barlow. 18th Cavalry was part of 3rd Indian Motor Brigade commanded by Brigadier E. W. D. Vaughan (later Brigadier Filose) and grouped with two other elite cavalry regiments; 2nd Royal Lancers (Gardner’s Horse) and 11th Prince Albert Victors’ Own (PAVO) Cavalry. They were supported by 2nd Field Regiment of Indian Artillery. Volunteers from all three cavalry regiments of 3rd Indian Motor Brigade formed Indian Long Range Scouts (ILRS). It was a squadron strength organization commanded by Major Samuel Vallis McCoy and consisting of J (Jat), R (Rajput), M (Muslim) and S (Sikh) patrols. In May 1942, Italian forces overran 3rd Indian Motor Brigade and large number of Indian officers and men became Prisoners of War (POW). Yaqub’s comrade in 18th Cavalry was Second Lieutenant Abhey Singh. Yaqub and Abhey came from similar backgrounds. Yaqub was from the princely house of Najibabad and his father Sir Abdul Samad Khan was Prime Minister of the princely state of Rampur. Abhey was from the princely state of Kota where his father Major General Sir Onkar Singh was Prime Minister of the state. Two other officers of the regiments fighting alongside Yaqub’s 18th Cavalry were also from aristocratic families. Major Rajendrasinhji Jadeja (he has the distinction of being first Indian officer to win DSO and later rose to become Chief of Staff of Indian Army 1953-55) commanding B Squadron of 2nd Lancers was from the princely state of Nawanagar and Lieutenant Sardar Hissamuddin Mahmud el- Effendi of 11th PAVO Cavalry was scion of the Afghan royal family. Yaqub and Hissam were later polo buddies (along with Colonel ‘Huskey’ Baig and Colonel Sikku Baig they played at Lahore Polo Club). Yaqub and Abhey along with the senior most Indian officer Major P. P. Kumaramangalam (2nd Field Regiment) were together in Italian POW camps of Avers and Avezzano. In the confusing times of 1943 when Italian forces capitulated, these three officers escaped. Yaqub had learnt Italian during captivity therefore he was leading the pack interacting with Italian peasants to try to reach the allied lines. They were captured again, this time by Germans and they spent next few years in German POW camp of Braunschweig. Yaqub learned German during his stay with Germans. He was repatriated after the end of war in 1945. 1947 Yaqub opted for Pakistan army while his comrade Abhey Singh stayed with Indian army. Abhey transferred to 17th Poona Horse and led a tank squadron in ‘Operation Polo’ when Indian army moved into the state of Hyderabad in 1948. In 1965 war, Yaqub’s parent battalion 18th Cavalry managed to reach the Burki Police Station on Lahore front and their commandant Lieutenant Colonel Hari Singh Deora (later Brigadier) had his picture taken in front of Burki police station. Yaqub commanded 11th PAVO Cavalry in 1952-3; the regiment that was in the same formation when he served with 18th Cavalry during Second World War. In 1947, Hindu and Sikh soldiers of regiments allotted to Pakistan went to India and Muslim soldiers of regiments allotted to India came to Pakistan. Muslim elements of 2nd Lancers (along with some elements of 8th Cavalry and 9th Deccan Horse) joined 11th PAVO Cavalry while Sikh squadron of 11th PAVO Cavalry went to 18th Cavalry and thus the circle was completed. In 1947, Yaqub was Second in Command of Viceroy’s Bodyguards then commanded by Lt. Colonel Peter Hussey. Indian army regiments were divided between India and Pakistan including Viceroy’s Bodyguards. This unit consisted of Punjabi Muslims and Sikhs. Like all other regiments, personnel and equipment of bodyguards was also divided. Major Yaqub representing Pakistan and Major Gobind Singh (Jaipur Guards) representing India went to the stables of Viceroy’s Lodge to divide the property of the regiment. Mountbatten’s ADC Lieutenant Commander Peter Howes arbitrated and at one time a coin toss decided about which country will get the gold carriage of Viceroy. Yaqub came to Pakistan with the Muslim component and their share of the property of one of the oldest regiment of Indian army and became the first commandant of Governor General’s Bodyguards. Yaqub’s elder brother Sahabzada Muhammad Yunus Khan was commissioned in Indian army from Officers Training School (OTS) at Bangalore and served with Garhwal Rifles. In Second World War both brothers fought under Union Jack and both earned Indian General Service Medal (IGSM). In 1947, Yunus opted for Indian army. Immediately after independence, India and Pakistan went to war in Kashmir. Yaqub was sent by Pakistan army while Yunus was sent to the same theatre by Indian army. Yunus was with Garhwal Rifles (most likely 3/18 Garhwal Rifles commanded by a fine officer Lt. Colonel Kaman Singh and a superb senior most JCO Subedar Major Sher Singh Rawat as this unit saw lot of action and 1/18 Garhwal Rifles came to the theatre quite late in July 1948). Yunus served as Deputy Military Secretary to President of India and retired at the rank of Colonel. A number of Indian and British officers were captured by Italians in Middle East theatre in May 1942. All three commanding officers of the regiments of 3rd Indian Motor Brigade; Lt. Colonel Fowler CO of 18th Cavalry, Lt. Colonel De Salis CO of 2nd Lancers and Lt. Colonel P. R. Tathem CO of 11th PAVO Cavalry were bagged by Italians. In the Aversa POW camp in Italy, a very strange chapter of Indian military history was recorded. Italian commander of the POW camp, Colonel Errera appointed several Indian officers for management of prisoners. These officers of different faiths and ethnicities were fighting under the flag of British Indian army and were now prisoners. Major Kumaramangalam (2nd Field Regiment) being the senior most officer was appointed commanding officer of the camp. Captain Yahya Khan (4/10 Baluch Regiment, now 11 Baloch of Pakistan army) was camp Adjutant and his assistant was Lieutenant Shamsher Singh. 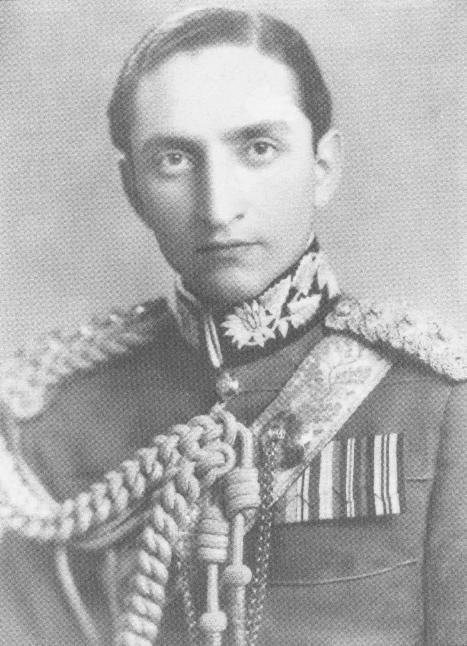 Captain Tikka Khan (2nd Field Regiment) was Quarter Master. Other inmates of the camp were Yaqub Khan (18th Cavalry), Major Ajit Singh (Royal Indian Army Service Corps), Captain Kalyan Singh (2nd Field Regiment), Captain A. S. Naravane (2nd Field Regiment), Lieutenant Abhey Singh (18th Cavalry) and Lieutenant Sardar Hissamuddin Mahmud el-Effendi (11th PAVO Cavalry). Many officers of this POW camp later played important part in the history of India and Pakistan. The Italian Colonel of the POW camp could not have imagined that he was holding a whole crop of future high power society. This camp has the world record of holding so many future senior officers under its roof. Kumaramangalam escaped from Italy but captured by Germans and was their guest for few years. He later became Chief of Army Staff of India (1966-69). Yahya Khan rose to become Pakistan army chief and then President (1966-71). In 1971, Tikka Khan was Commander of Eastern Command and later became Pakistan army chief (1972-76). 2nd Field Regiment of artillery can be proud to have two army chiefs of rival India and Pakistan. Yaqub Khan became Lieutenant General and served as commander of Eastern Command during the fateful days of 1971. After retirement he served as ambassador at several important posts and Foreign Minister of Pakistan. Hissam rose to the rank of Brigadier in Pakistan army. Ajit Singh rose in the ranks to become Lieutenant General, Kalyan Singh and Naravane became Major Generals and Shamsher Singh Brigadier in Indian army. Yaqub left his mark on Pakistan army. He has many admirers as well as his critics. Yaqub is pioneer of starting the intellectual life in Pakistan army. He served as Director Armored Corps as Brigadier, 6th Armored Division commander, Commandant of Staff College and Chief of General Staff (CGS) as Major General and Corps Commander of East Pakistan at the rank of Lieutenant General . As Commandant of Staff College at Quetta, he introduced Pakistani officers to the higher direction of war. He was also instrumental in establishment of National Defence College (now National Defence University) with its two tiered course. There were not too many thinking generals in Pakistan army at that time. In view of his aristocratic background and intellectual bent, Yaqub was different in outlook. He was from the old school of strict adherence to protocol and traditions. One of his junior officers who served with Yaqub when later was commanding 11th PAVO Cavalry recalls an incident in the mess. In one of the early days of his command, Yaqub stormed out of the dinning room because his cold meat was not properly dressed and potatoes were not of uniform size. The officer swears that he saw tears in Yaqub’s eyes. I can easily visualize that during Second World War, when ready to surrender, Yaqub donning his best cavalry uniform and asking his orderly to polish the boots with extra shine and then put on his cavalry sword and wait for the Italian officer to show up and Yaqub surrendering with full protocol. In one life, Yaqub has enjoyed every aspect of an adventurous journey. A long and fulfilling military career was followed by an equally rewarding career of a well respected diplomat. In addition to these full time occupations, he continued his passion of reading (his grandfather Abdus Salam Khan was an avid reader and kept a large library) with some philosophical bent and played polo. He is probably the oldest living officer in Pakistan and at the ripe age of 91 he has a treasure chest of memories that can bring a smile as well as a tear or two in the eyes. My fascination with Sahibzada Yaqub Ali Khan began in 1975 as I read about him and heard about him from my father. He descended from Yusufzai Pathans from a village called Maneri near Swabi , who migrated to Raohailkhand as raiders and maruaders in 17th and 18th century .I made it a point to visit Maneri while serving as an instructor at Armour School Nowshera in 1991 . Interestingly I found Maneris fame as a top class village of UJRATIS , paid assasins who in 1991 killed people for as low as 3000 Rs in 1991. My Pashtun friends told me that women of Swabi were notorious or illustrious for being EXCEEDINGLY DOMINATING. A similar breed of Shinwaris as Sahibzadas ancestors, from Dur Baba constituted my maternal grandfathers fifth ancestor Mattay Khan a Shinwari from Dur Baba present day Ningrahar who settled in Sikandara Rao in Aligarh District. 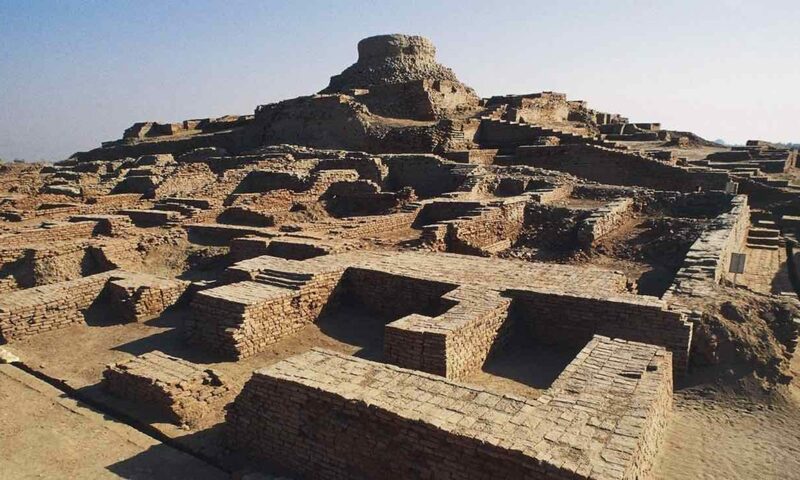 Mattay Khan built a Haveli on a hill overlooking a pond (Jouhar) or (Hauli) . The Haveli still exists and the owner was the principal of the High School at Sikandara Rao. Colonel Salman famous as Ustaad of Ustaads in Afghanistan having taught all the WHOS WHO from Hekmatyar and Ahmad Shah Massoud down to OBL and Mulla Omar belonged to a family who had migrated with Babar from Uzbekistan to Dibai near Sikandara Rao . Salmans father Colonel Ahmad won an MC in Burma while serving in Punjab Regiment and later raised 1 East Bengal. His uncle Aftab Sahib was my maternal uncle Saad Khairis batchmate in the CSP/PFS. Aftabs niece is married to my first cousin. Major General Wajahat also belonged to a village near Sikandara Rao. When I visited Dur Baba last in January 2015 it was more notorious for being targeted by US drones. These Shinwaris served in Mugahl Army , army of Nawab of Oudhs and in Maratha Cavalry as part of various Risallahs of Pathans.They also contributed to all Ten Light Cavalry regiments of Bengal Army from 1780 to 1857. In 1857 Sikandara Rao followed Punjabi Opportunism in staying loyal to English East India Company while major part of Aligarh district was in rebellion against the company. Five of my maternal grandfathers uncles and grand uncles joined the rebellion and simply disappeared after 1858 . But Sultan Khans grandfather remained staunchly loyal although 5th Light Cavalry and Sultan Khans father served as Prosecuting inspector at Hoshiarpur till 1901 or so.Veteran PPP leader ND Khan also hailed from Sikandara Rao or surrounding area.Sikandara Rao had a varied collection of Shinwaris , Yusufzais and Sherwanis who were the leading zamindars and talukdars of Aligarh district.A relative Obaidullah Sherwani rose to rank of Deputy Secretary Establishment in Pakistan retiring in early 1960s. His son in law Mr Karrar served as General Manager of the glorious Midway House owned by KLM for many years from late 1960s to 1980 or so. Karrar Uncles son migrated to UK and married an Italian lady. He appeared to be an ideal military personality and I quoted him as a high calibre personality in my article Orders and Obedience published in Pakistan Army Journal in March 1991. I met him in 1994 and met him frequently till 1999 or so. As I studied Pakistans 1971 debacle Ex Major General Yaqub Ali Khan (demoted to Major General in 1971) appeared a highly overrated character. When the Sahibzada resigned he was a three star general . He was then demoted to two star and made to sit in a majors office in Transit Camp Karachi which now houses the ISI . His resignation was then accepted a few months later . A rare case where a Pakistan Army officer resigned which means surrendering all pension and privileges. Ill informed and poorly read Pakistani journalists fallaciously describe General Jahangir Karamats retirement as resignation while in reality it was forced retirement with the general enjoying all military perks and privilieges including pension. He was admired for being a strategist but he FAILED to correctly formulate a strategic plan for the Pakistan Army for 1971 war . This includes his successors and all the stewards of strategic planning of Pakistan Army from 1947 to 1971. While Mr ZA Bhutto was painted as Pakistan Armys scape goat for 1971 Crisis the hard fact is that Pakistan Army was TOTALLY STRATEGICALLY CLUELESS and had no viable STRATEGIC PLAN to deal with Indian Major Attack on East Pakistan. When Sahibzada Yaqub Ali Khan was ordered to carry out a military crackdown in East Pakistan he refused . His motives are not clear . Whether it was excess of Moral Courage or Irresolution , we do not know and he never made it clear as long as he lived. A man of all seasons he served in various ambassadorial assignments under various civilian and military governments. As one who contributed in education of future generations by sharing his knowledge , his role was ZERO as he did not publish any memoirs. He was an untested horseman in actual operations of war as he never commanded anything in war except as a very juniour officer at Gazala where he was captured by DAK and incarcerated as a PW in Italy. His role at Chawinda remains controversial and unclear and many allege that he was responsible for the Pakistani rout at Phillora although Sardar Yahya Effendi tried to give him a clean chit. His conduct as PW was eventless and drab as unlike his fellow prisoner Yahya Khan he never made any attempt to escape.Also another PW in Italy was another overrated general Tikka Khan who later rose to be Pakistan Army chief who also never tried to escape. It goes to Yahya Khans credit that he made four attempts to escape.After his failed third attempt the Wehrmacht German camp commandant warned him that if he tried to escape again he would have him shot. Yahya Khan succeeded in his fourth attempt and walked 350 miles cross country , enjoying traditional Italian hospitality in many villages to join the British Indian forces in middle of Italy. A famous incident about Sahibzada Yaqub Ali Khan as Commanding officer 11 Cavalry was when he asked the Risaldar Major for 5000 Rupees and when the Risaldar Major gave him 5000 Rs kept searching the regimental accounts for the missing 5000 Rs . When the Risaldar Major inquired why he remained in office that whole night he told him that he was searching for the 5000 Rs that he gave him .The RM in disgust showed him his cheque book and told him that he had withdrwan 5000 Rs from his personal bank account and the 5000 had nothing to do with PAVO 11 Cavalry Funds. If Aunty Nunni ( daughter of Nawab Mumtaz Hassan Khan Bangash of Jahangirabad and a descendant of Nawab Shefta Khan Bangash) is to be believed he frequently visited his brother in Rohailkhand in India to settle his share of the properties in India. 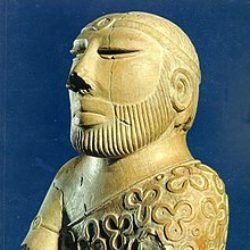 In best tradition of Indian Muslims no Nawab from India migrated from UP to Pakistan as this would have disinherited them.Only Nawabzadas , Sahibzadas came who were not entitled to any major share in Talukas or Jageers by law of primogeniture that entitled only the eldest son to the estate). The first time that I met Sahabzada Yaqub Khan about six years ago, he was in Washington and New York as part of a tour of four or five countries (America, Russia, China, Japan, etc.) relations with which are especially important to Pakistan. He had come as President Musharraf’s special envoy to reassure these governments in the wake of the fall of the kleptocratic shambles that was Prime Minister Nawaz Sharif’s so-called democratic government. Samad Khan, or Sammy K as he is affectionately known to friends, invited me over to his apartment to meet his Dad. I had heard and read much about Sahabzada Yaqub and knew his reputation for fierce intellect and even more intimidating, had heard reports of his impatience with and inability to suffer fools, so I was nervous when I walked in. Over the next couple of hours I was blown away: Sahabzada Yaqub was not much interested in talking about politics, and instead, asked about my doctoral studies in philosophy. It was soon apparent that he had read widely and deeply in the subject, and knew quite a bit about the Anglo-American analytic philosophy I had spent the previous five years reading. He even asked some pointed questions about aspects of philosophy which even some graduate students in the field might not know about, much less laymen. Though we were interrupted by a series of phone calls from the likes of Henry Kissinger wanting to pay their respects while Sahabzada Yaqub was in town, we managed to talk not just about philosophy, but also physics (he wanted to know more about string theory), Goethe (SYK explained some of his little-known scientific work, in addition to quoting and then explicating some difficult passages from Faust), the implications of Gödel’s incompleteness theorem, and Urdu literature, of which Sahabzada Yaqub has been a lifelong devotee.